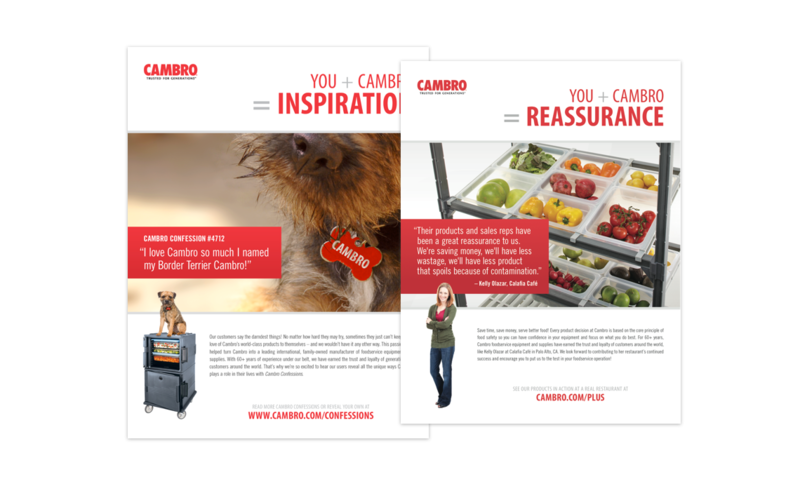 With over 60 years of product success and a growing international audience, Cambro turns to Album to keep their brand messaging creative and consistent. 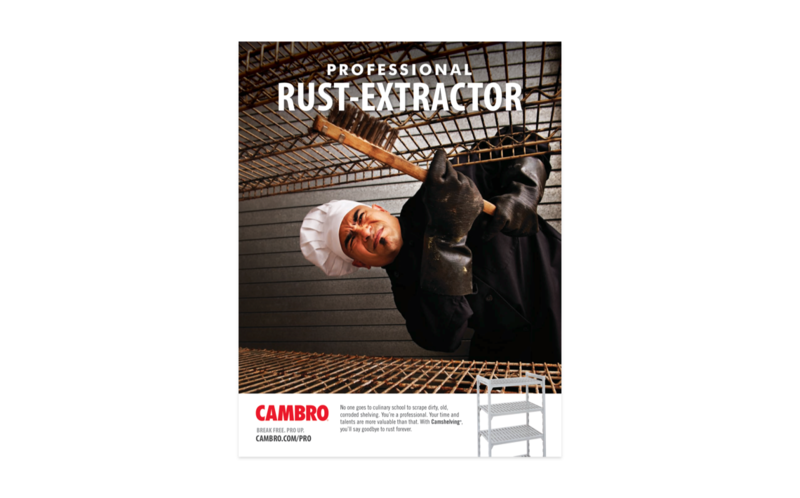 As the inventor of the plastic food service tray in the 50’s, Cambro has a long history of versatile products that improve service, reduce labor, and increase sales for foodservice operators. Years ago, they hired Album to develop the first international brand campaign in their 60-year history. Stoked with the results and relationship, they continue to rely on our team to develop campaigns every other year. Each with its own unique message, but all with the common goals to reach international audiences, create an emotional connection and move customers to action. 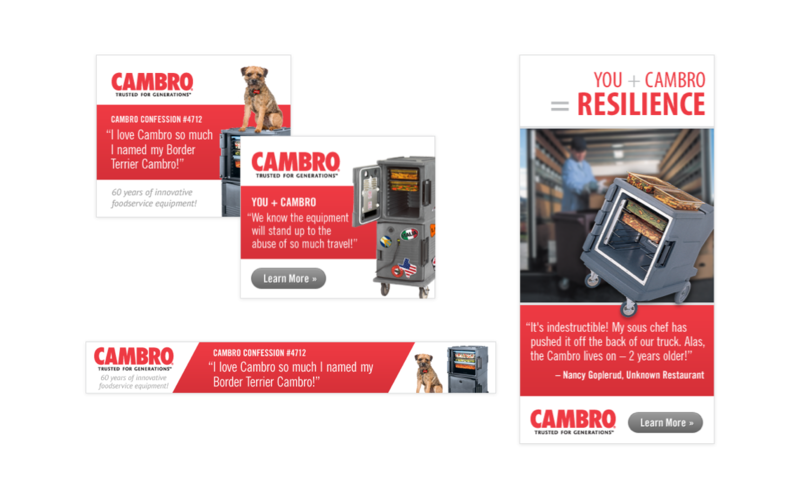 After taking Cambro through our Brand Tuning process to help define and focus their brand, we developed the original brand campaign: “You + Cambro”. 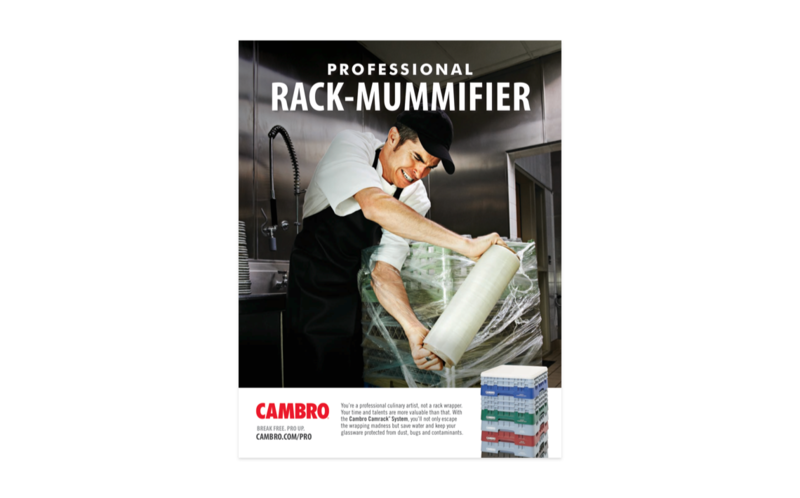 Simply put, when a customer adds Cambro to their operation, they gain a partner they can rely on. To convey this message, the campaign engages the audience with unique visuals and inspiring stories. 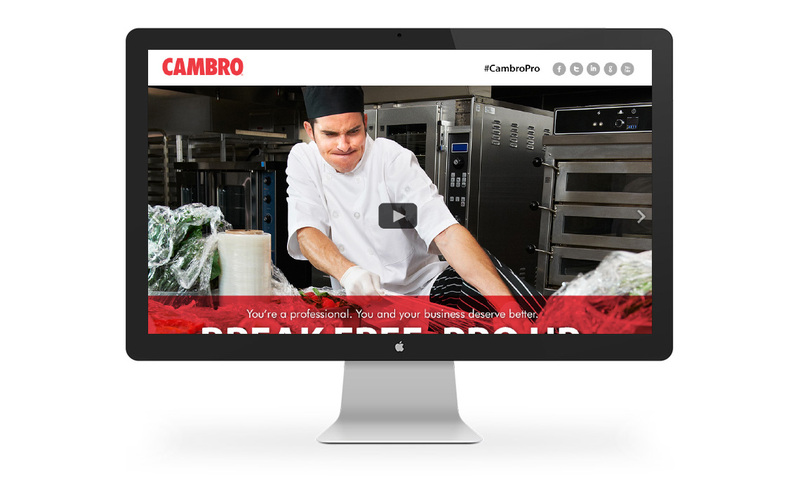 The primary message is that Cambro doesn’t just make a sale and move on. The brand is fully invested in its customers, their businesses, and their continued success. We introduced the “Break Free. 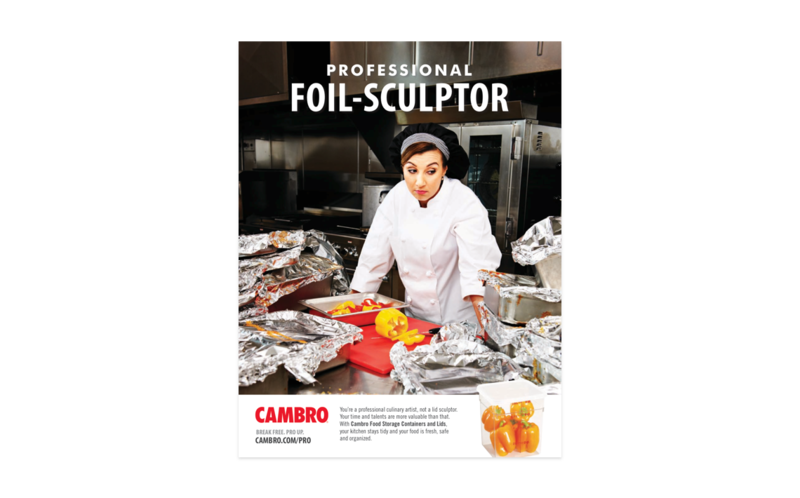 Pro Up.” campaign to poke fun at the menial tasks culinary professionals deal with when they don’t have the right equipment. 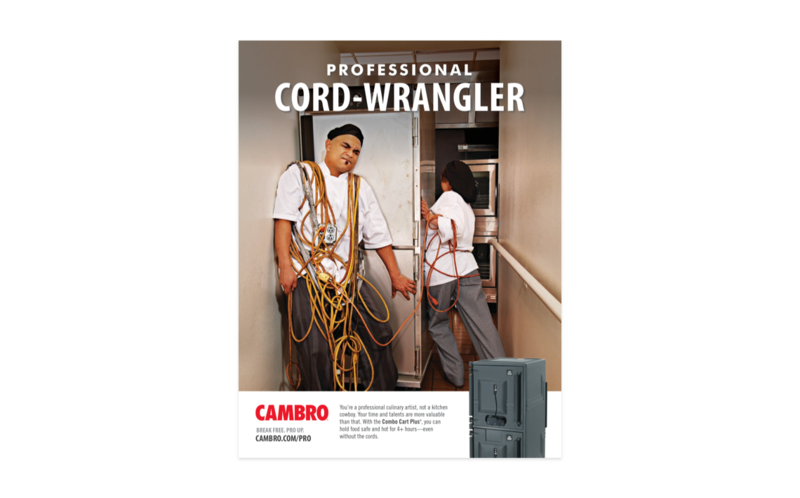 It was an instant success as it struck a chord with so many in the industry. 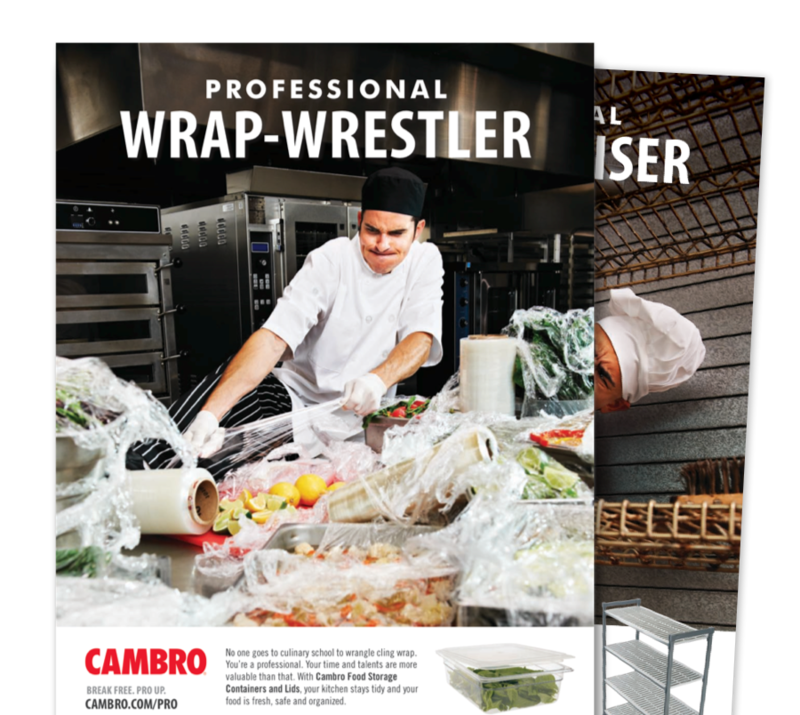 Recently, we were tasked with the challenge to help consumers understand the added value Cambro provides above and beyond the cheap knockoff products that have surfaced from international competitors. The solution: Highlight the team of people in every step behind every product category, ready and willing to help all foodservice businesses succeed. 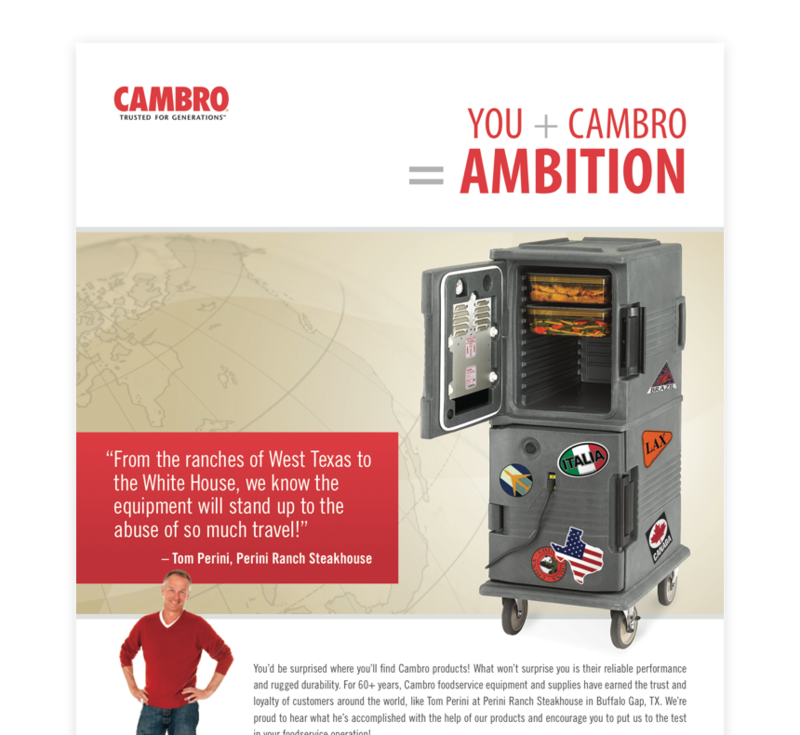 You’ve really taken the time to get to know the true spirit of Cambro, and your concepts are proof positive of how well you and your team understand our brand and mission. I have already shared the ad concepts with my boss, and he agrees that the campaign will work beautifully on a global scale. I am very excited (and will be very proud) to share our new campaign with the rest of our organization.